Is one of the burners on your cooktop out? Has your oven thermostat stopped reflecting reality? Is your icemaker dribbling water down the inside of your freezer? 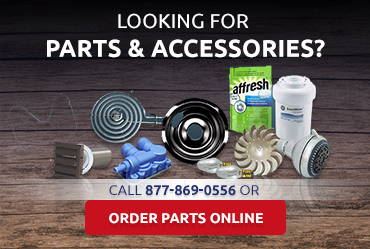 We make a point of using the highest quality parts to ensure that your appliance repair in Coachella Valley CA is effective and long-lasting and delivers quiet and efficient operation. If you want to complete the repair yourself, we can order parts for you. American Appliance Repair can provide warranty repairs for brands like Amana, Whirlpool, Maytag, Jenn-Air and Scotsman because we are an authorized repair center for these brands. 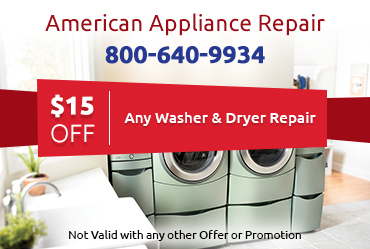 American Appliance Repair prides itself on providing superior customer service. All of our technicians are friendly and respectful, in addition to being highly trained and able to provide expert appliance repair in Coachella Valley CA for a wide variety of brands and models of appliances. We always examine the appliance carefully before beginning work to make sure we correctly diagnose and address the root cause of the problem. We also provide reliable estimates. 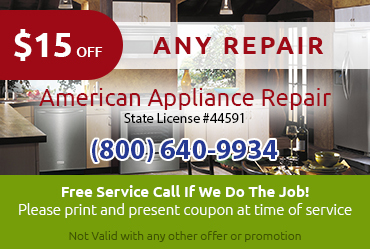 Need Appliance Repair in Coachella Valley CA? 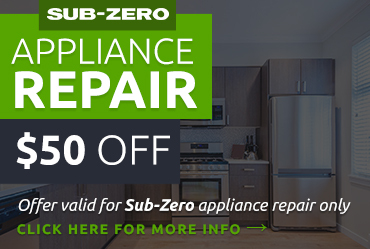 We know that a malfunctioning appliance can be a huge hassle, so we make it a goal to provide same-day service to every customer. Call us at 800-640-9934 or contact us online to request service visit.